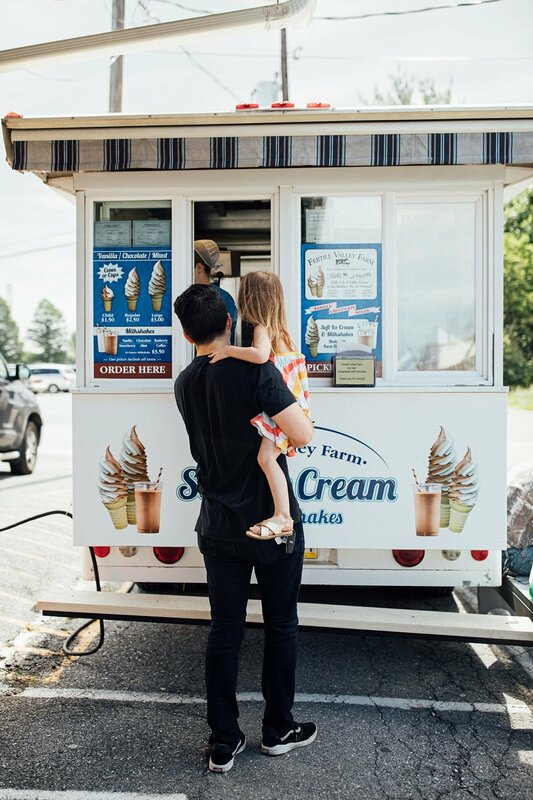 The Farmers Market | Family Time — walk in love. I cannot believe that we're posting photos of all four of us to the blog right now! This never happens. Being the ones who are often behind the camera, my heart is so happy to see all of us on the front end. Go team Mousetis! I also want to say "Go Team Kelly Moore!" for partnering with us on this post and providing us with that b-e-a-u-tiful camera bag I'm carrying. It's honestly so well made and downright amazing. We have loved and used Kelly Moore Bags for years. I use this satchel backpack as a camera bag and a mini version of our diaper bag. It holds my Canon camera with the lens attached, diapers, wipes, my nursing cover, extra clothes for June, my wallet, my keys, my phone, and my reusable bags for the market! I love purchasing apples from this one stand, specifically the "#10 Apples". That's really what they're called to! Everything else is like Gala, or Pink Lady, or Golden Delicious and I'm all like "Yeah I'll take a basket of #10's, please." But, they're amazing. If you ever go to Roots Market you gotta try them. Don’t you just love how local markets are making a resurgence with the organic and shopping local trend? And thankfully, I don’t think it’s just a trend, I think this way of shopping and consuming is here to stay! 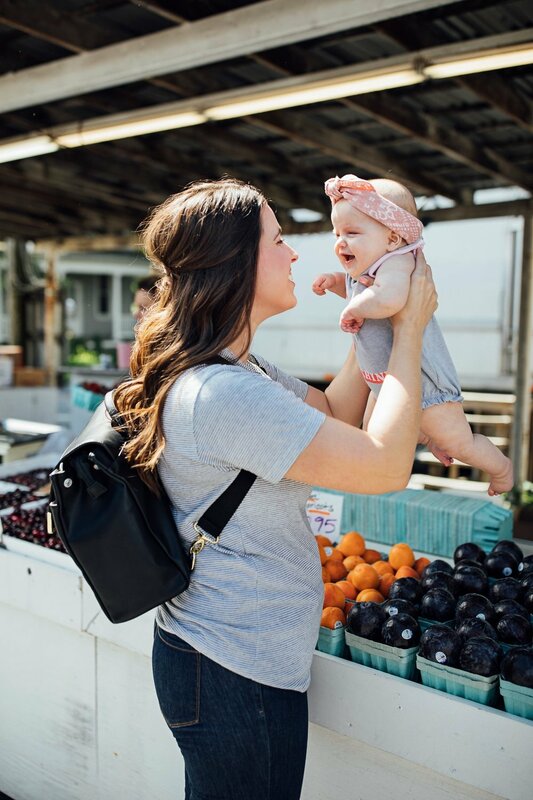 Again, a HUGE thanks to Kelly Moore Bag for sponsoring this post and for providing us with our favorite camera/diaper bags!